According to news reports, the Eighth Circuit Court of Appeals denied a motion this week to unblock a state pro-life law while a court case over the law progresses. In 2015 the Arkansas Legislature passed Act 577, the Abortion-Inducing Drugs Safety Act. The law requires abortion drugs like RU-486 to be administered according to FDA protocols, and it says abortion clinics that offer drug-induced abortions must contract with a physician who has hospital admitting privileges. Planned Parenthood filed a lawsuit against the state to have the law struck down. In 2016 U.S. District Judge Kristine Baker in Little Rock ruled the law was an undue burden on women seeking an abortion. However, the Eighth Circuit Court of Appeals disagreed, and vacated Judge Baker’s bad decision. That decision ultimately prompted Planned Parenthood to stop doing abortions in Arkansas for about three weeks earlier this year. 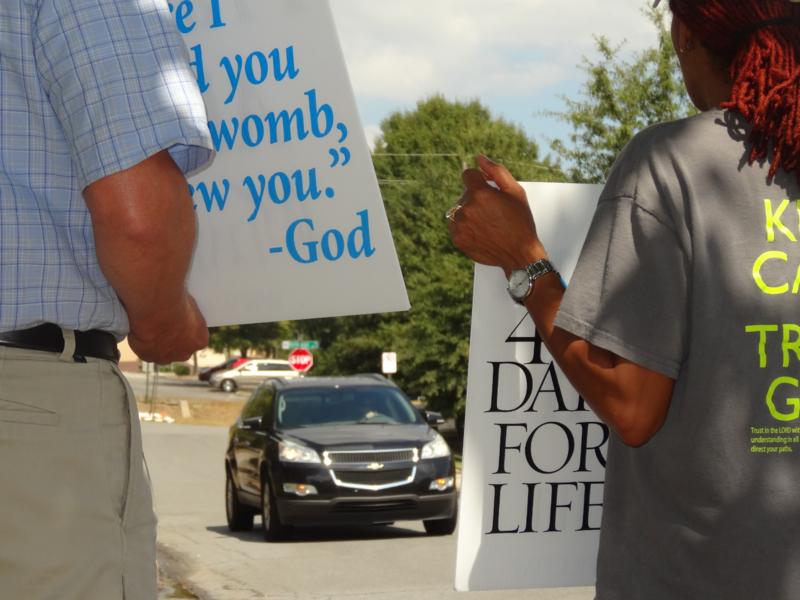 Nevertheless, the legal tug-of-war over this pro-life law has continued. Last month Judge Baker once again blocked the state from enforcing the law. Attorney General Leslie Rutledge appealed to the Eighth Circuit Court of Appeals to once again let the state enforce the law. However, it could be several months before the appeals court issues a decision in the case, so the A.G. also asked the court to unblock the law while the lawsuit plays out. This week the Eighth Circuit declined to unblock the law. However, the lawsuit is still ongoing, and the Eighth Circuit Court of Appeals has handed down some pro-life victories in recent months. With that in mind, we believe there is a very good possibility the Abortion-Inducing Drugs Safety Act will survive this legal challenge. The Abortion-Inducing Drugs Safety Act protects the public health and safety of women in Arkansas. Arkansas has about 6,000 licensed physicians, and a majority of them have admitting privileges with one or more hospitals. It is not unreasonable for the State to require abortion clinics to contract with a doctor who has hospital admitting privileges. If you are having trouble keeping track of all the twists and turns in this lawsuit, you aren’t alone. Below is a full timeline of this lawsuit over the past three and a half years. March 20, 2015: The Arkansas Legislature passed Act 577, the Abortion-Inducing Drugs Safety Act. The law was set to go into effect January 1, 2016. December 30, 2015: Planned Parenthood of the Heartland, which has two clinics in Arkansas, filed a lawsuit saying it had been unable to find a doctor with admitting privileges at a local hospital to handle emergencies resulting from these chemical abortions, and that Planned Parenthood would no longer may be able to perform drug-induced abortions in Arkansas if Act 577 were enforced. December 31, 2015: U.S. District Judge Kristine Baker issued a temporary restraining order blocking the law just hours before it was set to go into effect. A few weeks later Judge baker followed up by issuing a preliminary injunction blocking the law from being enforced. August 28, 2016: Attorney General Leslie Rutledge filed a brief asking the Eighth Circuit Court of Appeals to reverse Judge Baker’s preliminary injunction against the law. September 21, 2016: A three-judge panel from the Eighth Circuit Court of Appeals heard Attorney General Rutledge’s arguments in court. September 27, 2017: The Eight Circuit Court of Appeals declined to reconsider the three-judge panel’s decision allowing the State of Arkansas to enforce the Act 577 of 2015. December 21, 2017: Planned Parenthood appealed the Eighth Circuit’s decision to the U.S. Supreme Court. 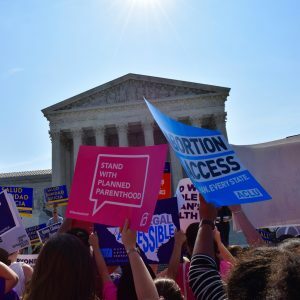 May 29, 2018: The U.S. Supreme Court declined to hear Planned Parenthood’s appeal. As a result, the law went into effect, and Planned Parenthood stopped doing chemical abortions in Arkansas for about 3 weeks while the case went back down to U.S. District Judge Kristine Baker’s court. June 18, 2018: U.S. District Judge Kristine Baker issued a temporary restraining order preventing Act 577 of 2015 from being enforced. July 3, 2018: U.S. District Judge Kristine Baker enjoined the law from being enforced. Attorney General Leslie Rutledge’s office appealed that decision to the Eighth Circuit Court of Appeals and asked the Eighth Circuit to unblock the law while the lawsuit progresses. August 22, 2018: The Eighth Circuit Court of Appeals declined to unblock the law while the lawsuit progresses through the federal court system.